13 ½” X 19” serigraph print--contemporary design. 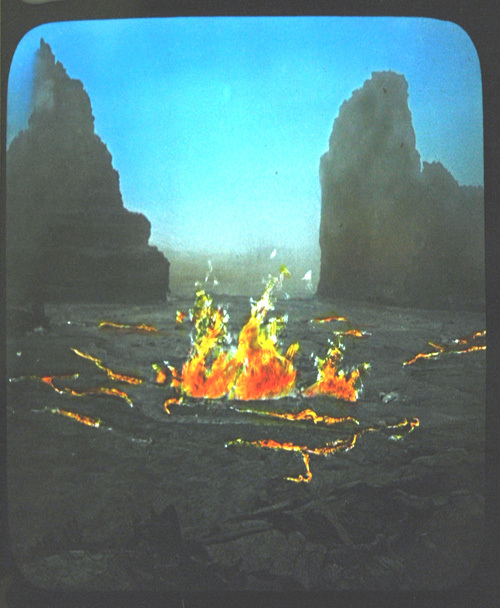 Of all the volcanic activity on the Hawaiian Islands, I chose this perspective in Kilauea Caldera, taken from a 1924 lantern slide--depicting the last major eruption. 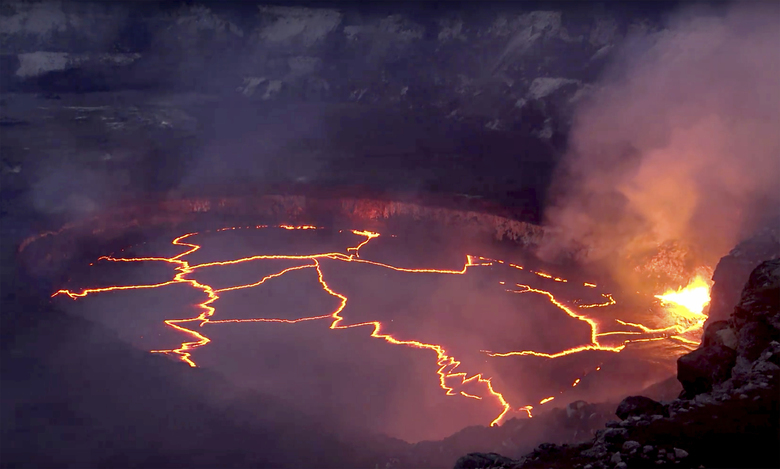 One year after our publication, the Halema'uma'u (correct pronunciation) pit crater within, re-erupted! Pele was happy with our design! Note the similarity to this photo taken 5 years later! 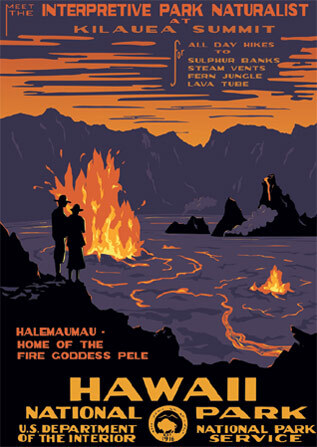 (In keeping with historical context, we do not use diacritical marks in this poster.) 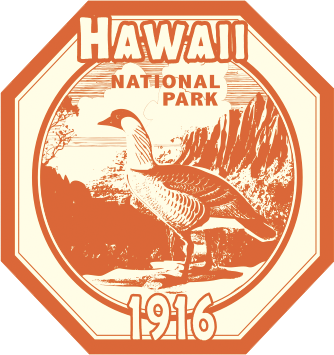 Thomas Jaggar built a museum on the rim in 1912 and the park was formed in 1916. Hawaii Volcanoes National Park is a World Heritage Site.